RAF Plotting Chart No.2, Intelligence - Eastern Air Command, February 1945. Printed paper. Approximately 51 x 57cm. Reproduced by 958 Engr. Avn. TOPO Co. 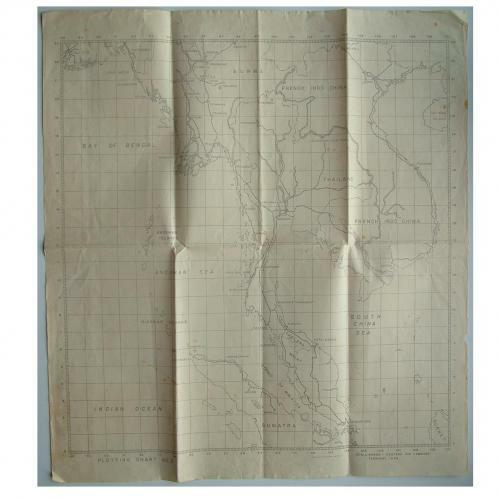 Covers Burma, French Indo China, Thailand and parts of Sumatra etc. Some creasing and dog-eared edges/corners. Folded. These plotting maps are popular and increasingly difficult to find. Stock code P21770.